A lot of times with Mother’s Day the focus is on what children should get their mother or significant mother figure in their life. But what about the dad?! It is just as important for the father to shower his spouse with some needed love on this special day. 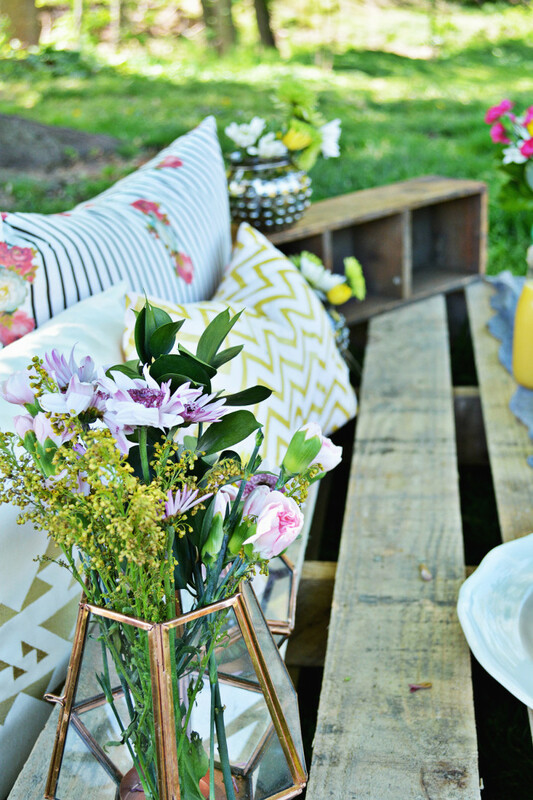 So when FTD challenged us with putting together a tablescape featuring their florals to help inspire dads we jumped at the opportunity! First off, look at all these gorgeous Mother’s Day bouquets! If there is one thing that is a no-fail gift it is having flowers delivered. No way that cannot improve someone’s day and every time I have gotten flowers delivered to my mom or mother-in-law they have loved it! 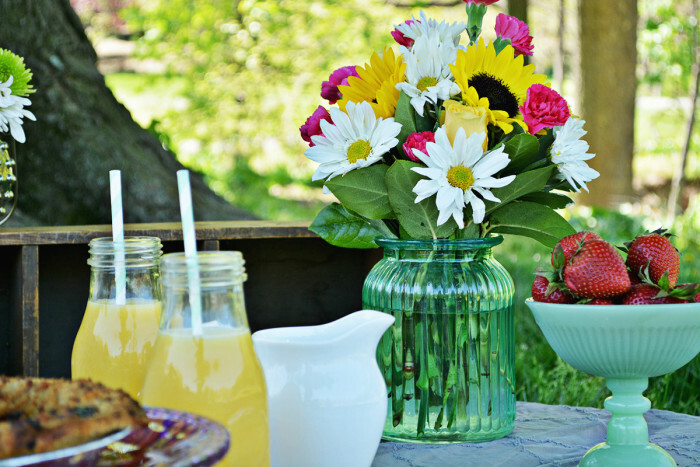 If you take the flowers and pair it with a simple brunch then you have definitely out done yourself this year. 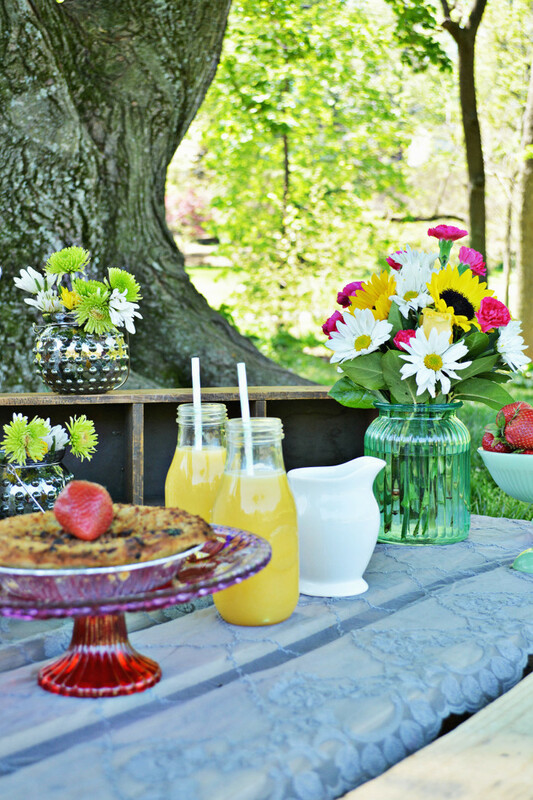 I decided to throw a simple outdoor brunch picnic with the beautiful Sunlit Meadows bouquet. 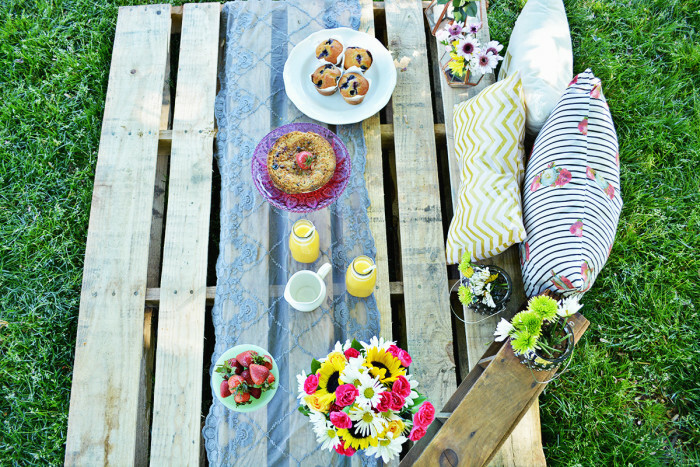 Now, you might be thinking this is a lot to do but trust me – all you need is a lovely spring day, a blanket, these flowers and some quick breakfast food and you have the most fabulous Mother’s Day surprise! 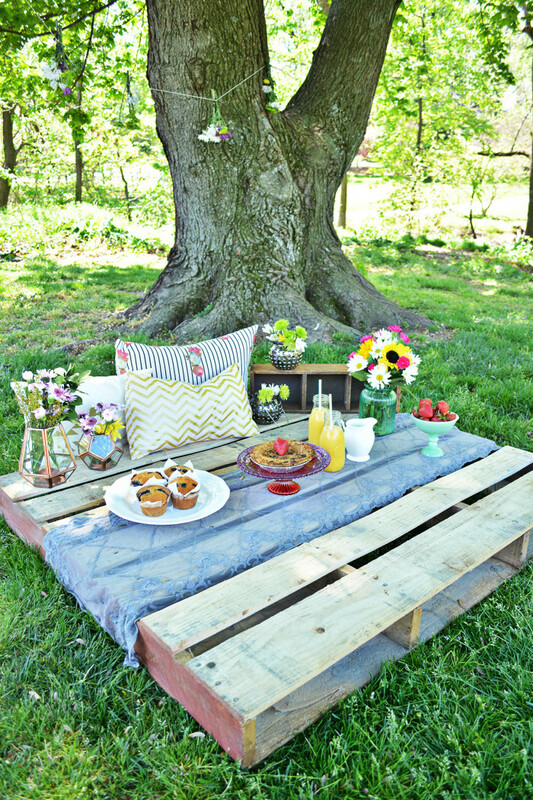 I chose a wood pallet as the makeshift table but of course any blanket will do. And grab some pillows to make it even more inviting! 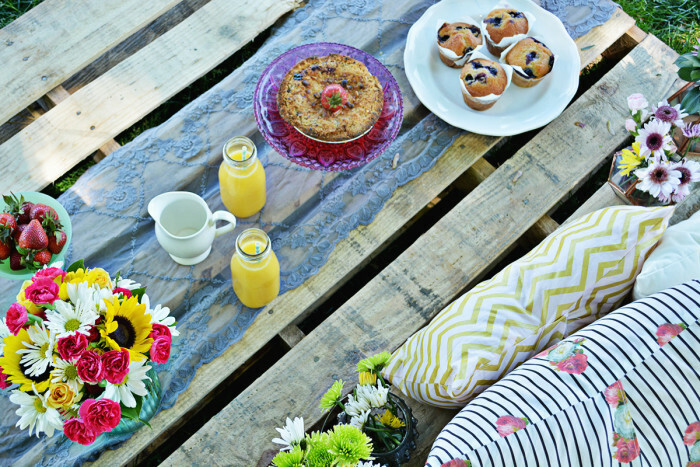 Brunch is a common Mother’s Day gift and of course I would never encourage anyone to not treat their wife or significant other to breakfast in bed. 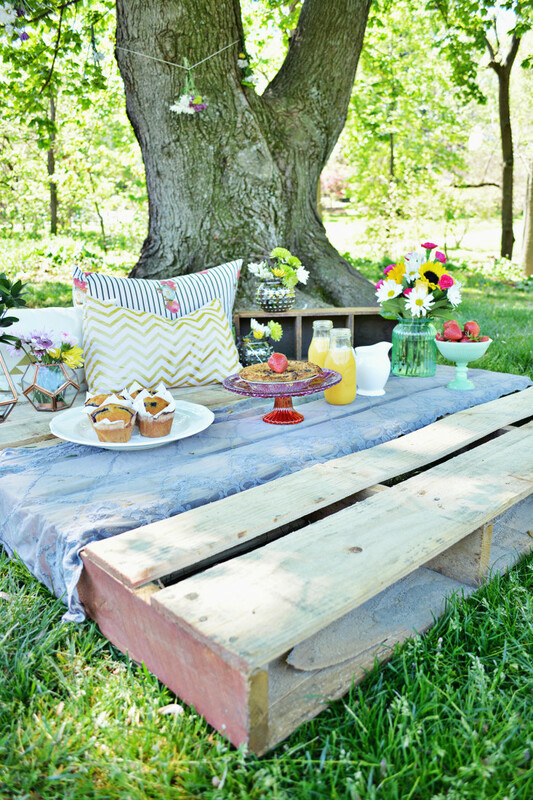 But I also firmly believe you have to take advantage of May weather and there is truly nothing better than a picnic. Planning one for someone you love is such a warm gesture and laying on a blanket in the sun is one of the true joys of life. I just am not convinced there is any better way to celebrate Mother’s Day. 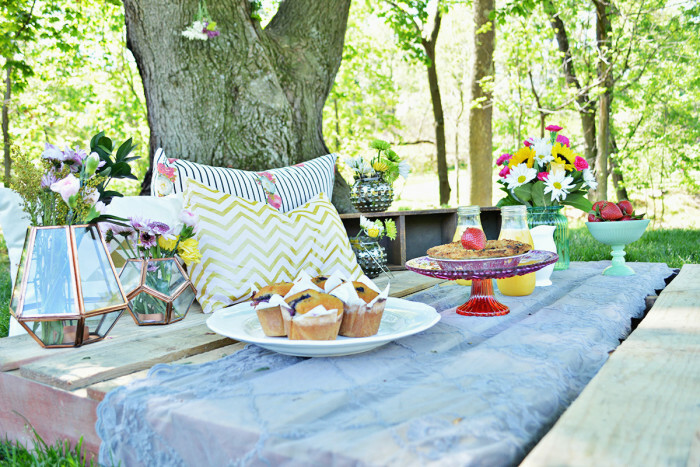 Plus, if you have a yard or patio then no one even has to get out of their pajamas! 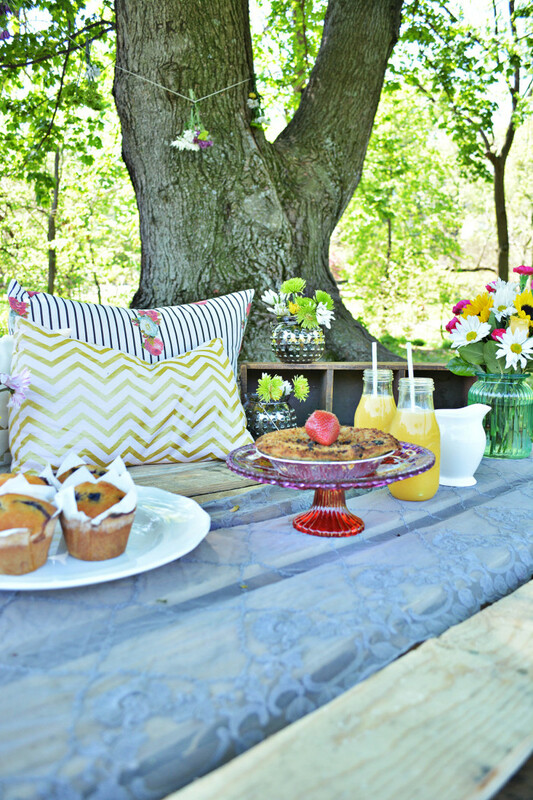 For my picnic I grabbed some blueberry muffins, orange juice, strawberries and pie (at brunch it is perfectly acceptable to have dessert). I kept it small and easy to show all you dads how easy it is to create a lovely spread. No cooking required! Extra flowers are always a plus. I always just go to my local grocery store and buy two bunches of flowers and stick them in whatever vases I have around – it so easy to DIY floral arrangements. Above I am using votive holders (hence the no water) and below I am using lanterns so really anything works. And one more look at those flowers! I just love the vase so much and will definitely be using it in the future! 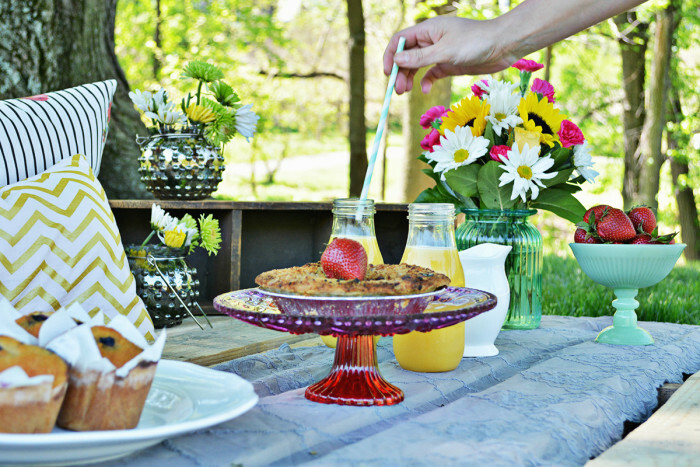 Mother’s Day Gift Guide + A Giveaway! Because we absolutely love to make (and to see) gift guides (and because we’re still racking our brains to decide what to get our Mom and MILs) we decided we better scour the internet and find the best options the web has to offer for quirky, pretty, practical, and sentimental Mother’s Day gifts and put them together in a handy little AJR guide, just in time for anyone else whose still looking for ideas! Birchbox – This is my favorite subscription box. Mainly because it’s so cheap and you get killer name brands! It perfect for moms who both love beauty products, or those who never really splurge on any but would probably like an excuse to try those brands they see in Sephora. Also, its a package in the mail every month and no one hates that. $10/month. Adult Coloring Books, Mandalas and Flowers – Adult coloring books are all the rage right now because they’re a great mindless way to release some stress. Both of these options are beautiful and perfect for mom! Mandalas, $3.70 and flowers, $10.80. So there is our 2016 guide. I hope you found something that’s just right or at least inspires you. 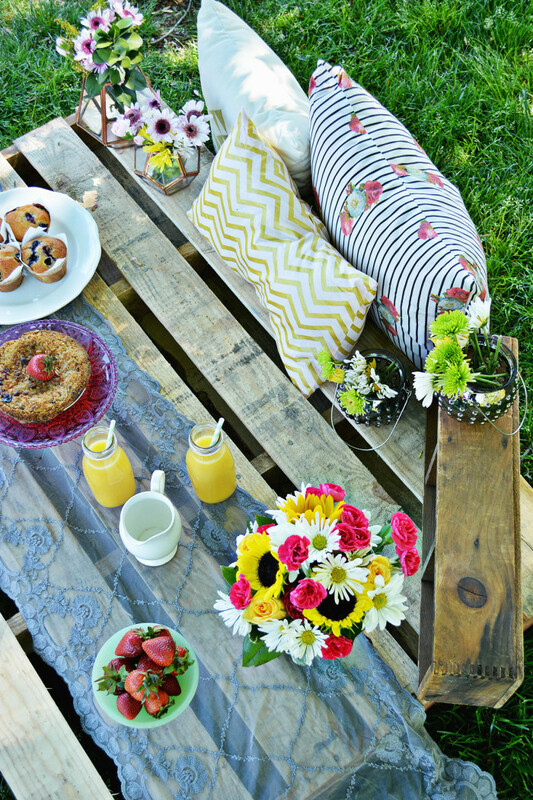 Any of these perfect for your mom or yourself? Let us know which ones you’re diggin’ in the comments! And don’t forget our giveaway! So last week I was on vacation in Mexico and even though I came back to really quite freezing cold windy days here in Utah, there are some green leaves sprouting and lots of trees blossoming! This leads me to believe that Spring is in fact coming which then means that summer will eventually come too and I just could not be happier about this. Of course, I don’t need the trees to tell me it’s going to happen, I do know it’s pretty inevitable, but you know seeing those little indications of life really do make the whole thing seem sooner and THANK GOODNESS! I never loved winter growing up, I’ve tried to reconcile myself to it in the last several years, but this year, for some unknown reason, my hate for it really came back with a vengeance. Look, I know it’s important, and beautiful, and after all, I am choosing to live here where it faithfully makes an appearance for at least five months every single year. But, that doesn’t mean it’s not painful every time I have to get into a below-freezing car, or slip on the ice, or look at my pale white skin and red nose in the mirror. 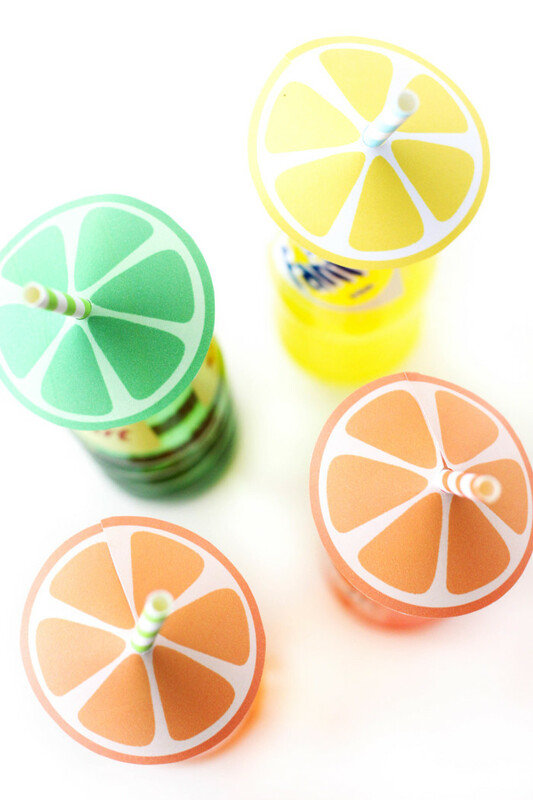 So, we’ve decided that whether or not the weather catches up any time super soon, AJR is done with winter and winter crafts and all things snow or cold-related (unless its a refreshing treat or drink) and we are diving head first into summery, bright, happy, colorful, warm crafts! I think we can all agree this is ok, right? 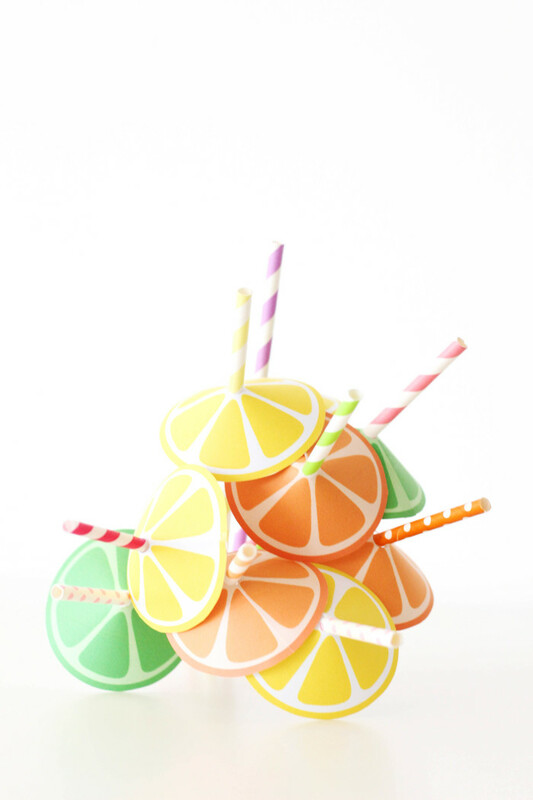 And to kick it off on a really bright and colorful, summery note, we made lemon, lime and orange fruit slice straw umbrellas that are free to you and a cinch to whip up! 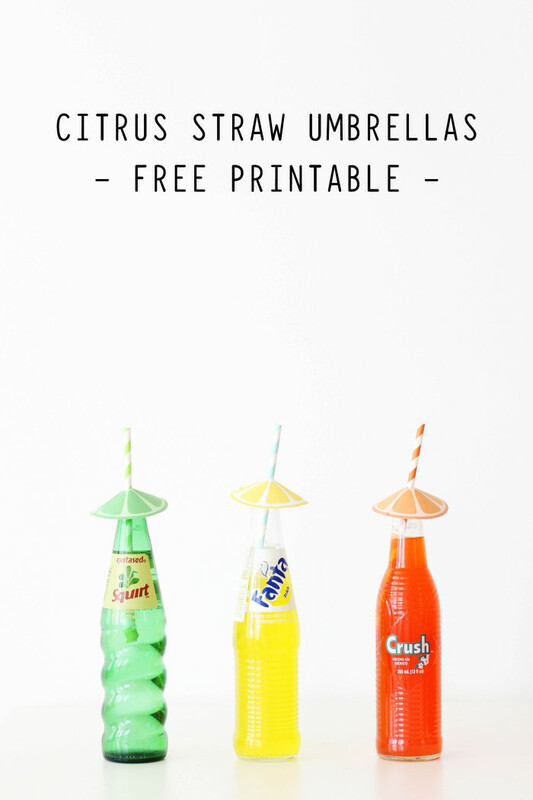 We’re big fans of paper straws, and adorning them with umbrellas (see these watermelon umbrellas and our donut umbrellas) and so this just seemed like the most natural thing to do, given the circumstances. Click through for the free download and instructions! Copper pipe has been somewhat sparse over here lately. So I thought it was about time to feature it in a home decor project. I don’t have a great full-length mirror and actually for the longest time I didn’t have any longer mirror. Evaluating my outfit was basically me standing a little precariously on top of our tub peeking into the small bathroom mirror! Well finally a few years later I scored a free mirror from my friend with the idea that I would dress it up and finally have done it! 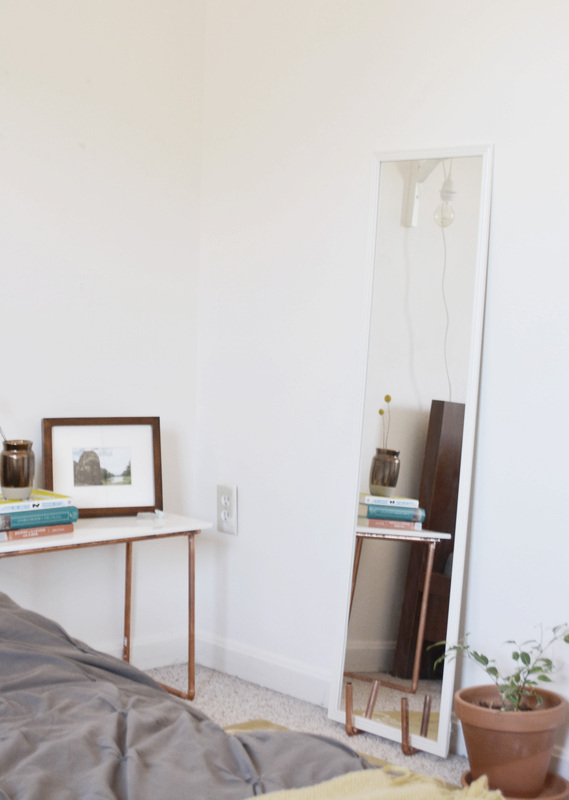 Click through to read how I created this simple mirror stand. 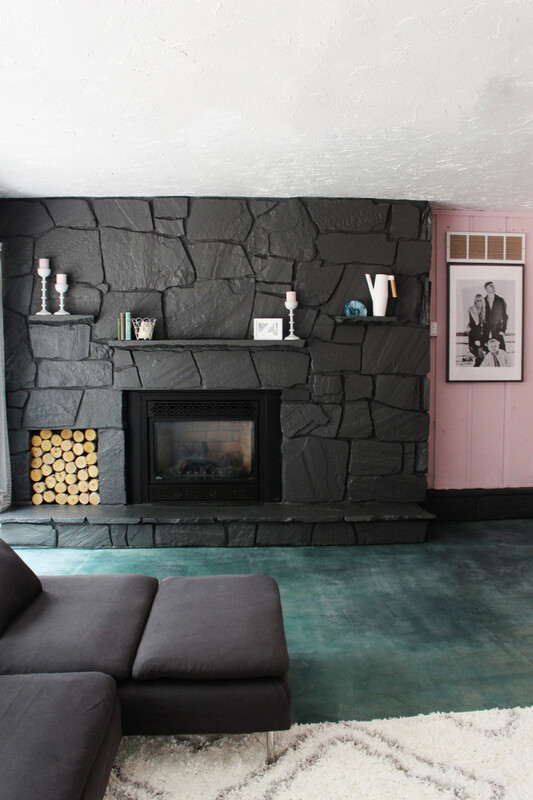 I had mentioned in our fireplace post from last week how excited I was that the floor under the heinous old carpet of our living room was concrete because I have always wanted a modern acid stained floor. 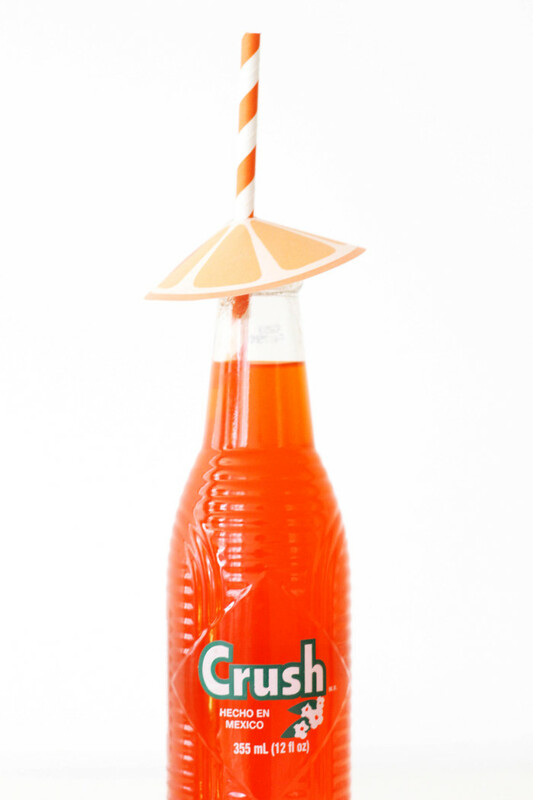 I have always loved the look, as long as I can remember, usually only seeing it in restaurants or other retail formats. I mean, just look at the awesome, mottled blotching and variety that can be achieved? So, having always been a fan of modern, industrial feels in decor, I jumped right at the chance to incorporate this trend into my own home. I was also excited to have a very good reason to tear up that carpet that I hated so much and offer up a cheap DIY flooring alternative that I knew my husband couldn’t say no to. And when I say cheap, I mean seriously cheap! For all the supplies you need, I mean ALL the supplies from brushes to the stain and polish, you’re looking at about .65 cents a square foot. I mean, you can’t find any flooring option for that inexpensive and even the cheapest of cheap options require some know-how or skill. But not this. Seriously, any beginning DIYer could do this project. Which I know sounds insane, but really it’s not. Acid staining requires cleaning, spraying, waiting and more cleaning. Don’t you think you could probably handle that? I bet ya could. I personally love how uncertain the results are with acid staining. No two floors will be the same! 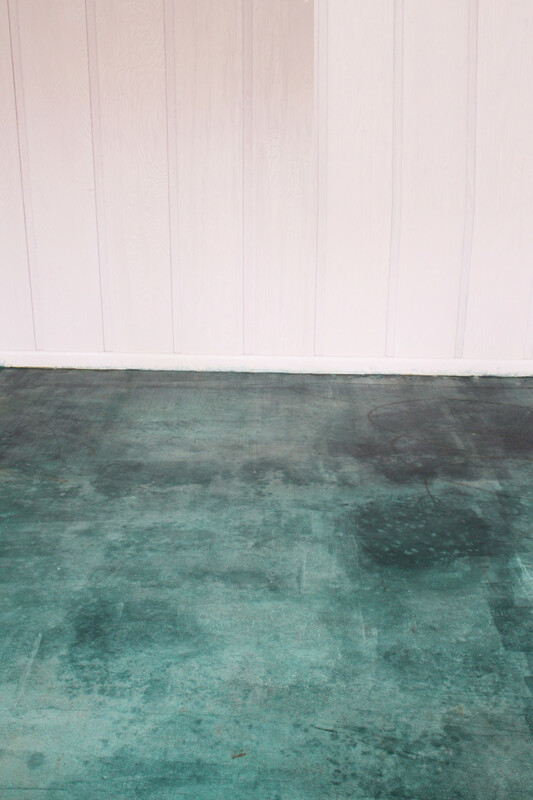 The muriatic acid reacts with the lime deposits in the concrete so there is no telling exactly what your floor will look like and I think that’s exciting. 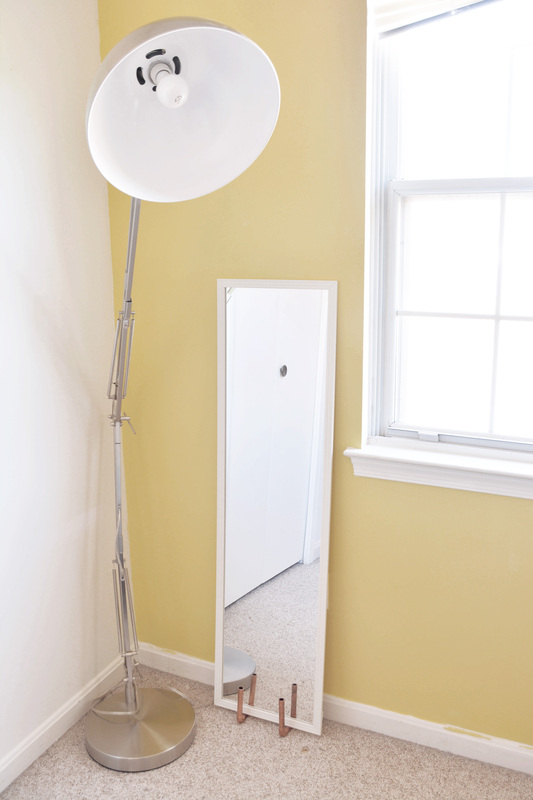 You can also get a lot higher-gloss type of coatings, but none that I felt were safe to do on an indoor space we were currently living in, especially with a young daughter and me being pregnant again. Most of those more intense products involve VOC that should be carefully regulated within your home, and probably is by law to a certain extent. So anyway, those were just not for us as much as I loved the idea of getting a really glossy wet coat. But, if you’re doing this project on a home you haven’t yet moved into or on an outdoor area, those products may very well be for you! So, just know, you can get a lot more of a glossy coating than what we have here, if that’s your thing. Either way, the direction to follow can be found right here. There are quite a few steps and materials and the process can be more involved if you’re looking at a particularly rough or uneven surface, but the acid staining itself is pretty straight forward and I really don’t feel like you can mess it up so don’t be intimidated by the longer tutorial. I promise you can do it!! What do you think of my turquoise floor? Is it something you would consider in your home? If turquoise isn’t your thing, you can also chose from a variety of browns and earth tones, is that something you would consider? I really want to hear so leave your answers in the comments below!